MONTREAL — The McGill University Health Centre and some of its physicians are profiting from their involvement in a private Montreal-based company that sells “quick” access to second medical opinions and therapeutic advice to patients in Quebec and across Canada who have private insurance, The Gazette has learned. “Our fast, efficient process helps cut the response time to a minimum,” advertises the company, Medical Second Opinion, which runs a discrete operation. “The shorter the wait, the lower your stress level.” The MUHC is paid royalties to allow its name to be used, and its physicians are paid for providing written second opinions within as little as seven days in a public health-care system where year-long waits for a first medical opinion are not uncommon, and where second opinions are often harder to come by. The MUHC specialists do not examine the patients in person, but they do review their medical files and provide a second opinion that can concur or disagree with an original diagnosis. In 10 per cent of cases, the MUHC physicians have offered a differing opinion and in 25 per cent of cases, they recommend additional potentially life-saving therapeutic options that were not available with the original diagnosis. Michael Churchill-Smith, the medical director of Medical Second Opinion, said the MUHC physicians do most of this work on their own time in the evenings and on weekends, but he acknowledged that they might in rare instances do the evaluations while working at the MUHC. Informed of The Gazette’s findings on Thursday, the province’s medicare board announced Friday that it will investigate Medical Second Opinion and its ties to the MUHC. “The business model of Medical Second Opinion … has raised questions and is of concern to the Régie de l’assurance-maladie du Québec,” Marc Lortie, a spokesman for RAMQ, wrote in an email to The Gazette after viewing the company’s website. 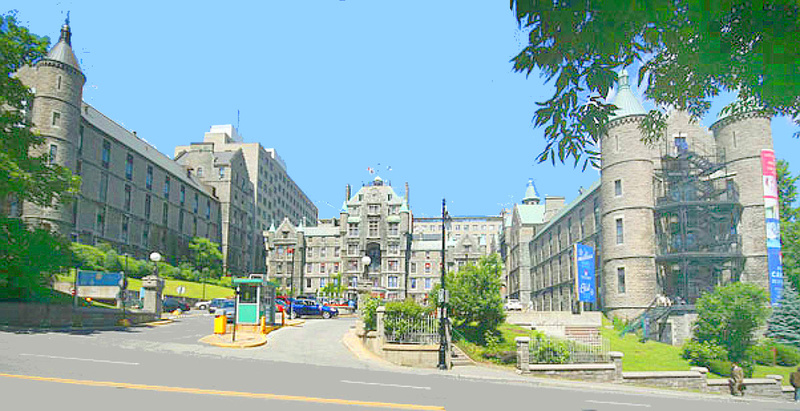 “We will carry out the necessary verifications to determine what this (business model) is exactly and whether it respects the (Quebec) Health Insurance Act.” That the MUHC, a public network of six hospitals, is promoting “fast” access to the medical expertise of a private company is being denounced as a form of queue-jumping and two-tier medicine by the Canadian Health Coalition, a group that supports universal medicare. This is surreptitious two-tier health care to expedite access for people with extra insurance,” said Michael McBane, national co-ordinator of the coalition. “They think that the elites should have elite health care. It’s a fundamental violation of the very core of the Canada Health Act.” MUHC officials insist that Medical Second Opinion is a private company that is completely separate from the hospital network. However, The Gazette has uncovered extensive links between the company and the MUHC. The Federal government itself is unacceptably doing a bad job looking after the citizens and these viable complaints, issues too. Major Professional Corruptions, stealing, tax evasions, and false denials have been going on everywhere In Quebec the last 50 years and you did not have to be a mayor to know that Montreal city hall and even the Universities, Hospitals, police, News media, politicians too have been now corrupted for decades too. No such thing even here as a little bit pregnant. Sadly a lot of this corruptions now involves professionals who respond falsely even with arrogance and false denials when confronted rightfully with their wrong doings.. This Gravy train cannot go on and on The gravy train, Corruption Bubble had to burst some time too. Make also the crooks return that which was stolen now too, and all those abusive even Medical Doctors and Dentists should pay back all the University medical training costs of theirs too. All, all cities, governments, should fire their much too many useless civil and public servants, administrators, professionals first who abuse others, and who who travel abroad, commit tax evasions, steal tax dollars. What the bad people still got paid, even a bonus, severance pay, and get a pension.. all unacceptable . And what about all of those bad civil and public servants, managers who waste their surplus budgets at year end so they can be insured of even more money next year. All Unacceptable. Let me be clear I rightfully am no fan of bad, lying, pretentious, incompetent professionals , doctors, dentists, lawyers, even if they have graduated from the Montreal McGill University etc. A university degree does not insure one is a better, moral person still, not even for pastors ehh.. Just cause some ignorant ostriches supports any institution for being supposedly good in the last 20 years does not make it right too, for I personally do have had plenty of negative experiences dealing with doctors, nurses, hospitals, triages, civil and public servants in Montreal and I can rightfully witness of their negative realities too . I here have rightfully made complaints even in writing, even as posted on this internet, even against 5 McGill Hospitals.. the Montreal Jewish General, the Royal Victoria Hospital, the Montreal lakeshore General Hospital, the Verdun Hospital and I have yet even to have one Hospital Ombudsmen proper response to them. This poor responses on their parts is really also unacceptable.